If you’re short on time, this half-day tour of St. Petersburg is an ideal choice for first-time visitors. See a handful of landmarks including the Kazan Cathedral, the Church of the Savior on Spilled Blood, and the Hermitage Museum as you listen to commentary about the history of Russia. 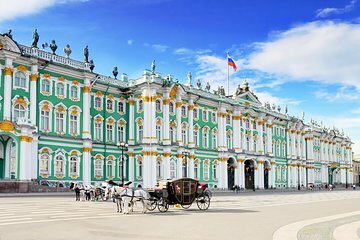 Admire the remnants of imperial Russia as you explore the city and learn more about the country’s architecture and art history.